A. 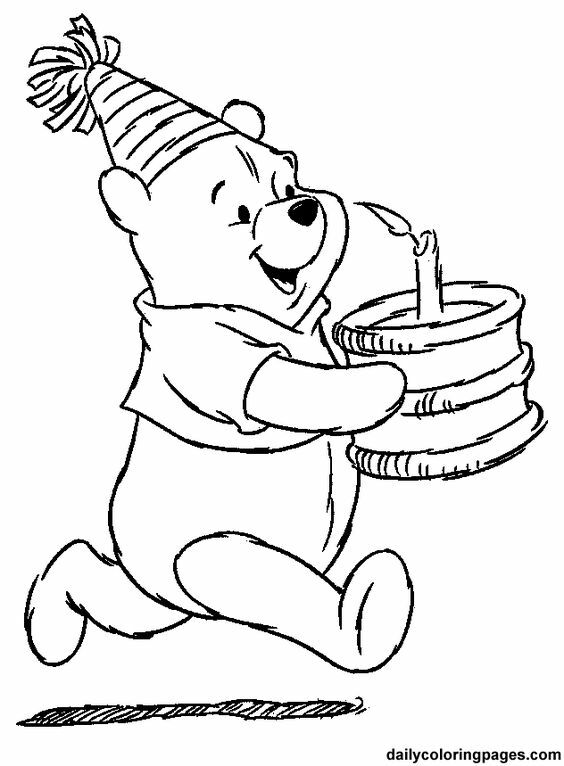 A. Milne captured the hearts of the nation when he created Winnie-the-Pooh and his friends. 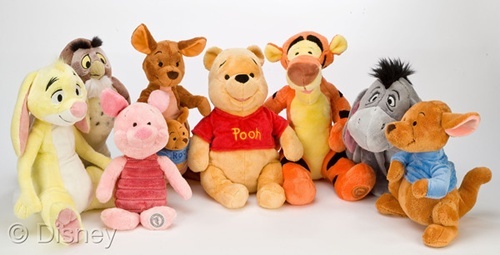 Let’s face it, whether you’re 2 or 82, there’s a certain charm about the Hundred Acre Wood. 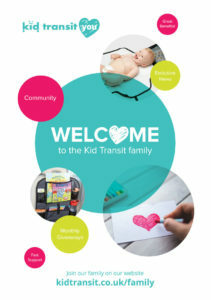 This is why it’s a fantastic first birthday party theme idea. 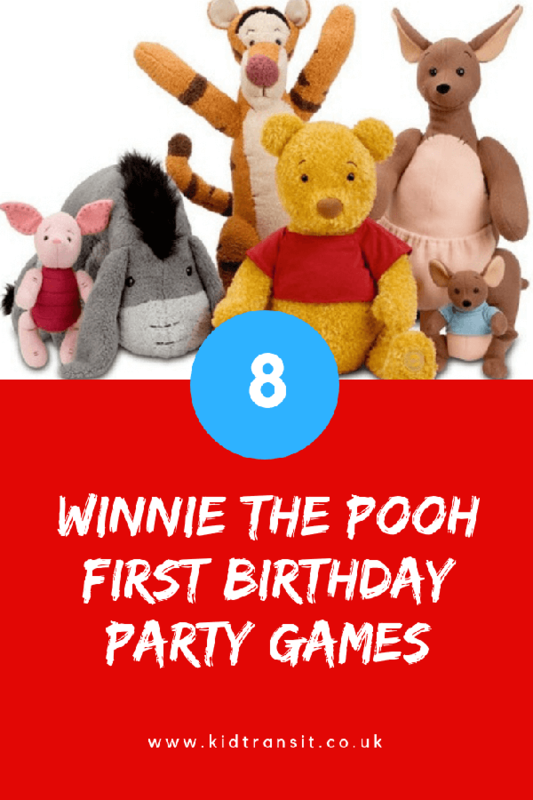 For little ones, we’d keep the party games simple, because toddlers and babies tend to have a short attention span. We’ve got lots of fun activities for you to try below. 1. Pin the tail on the Eeyore. 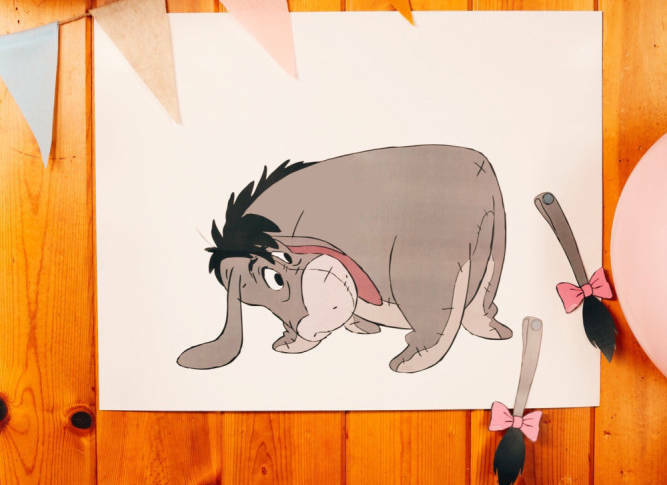 A party classic, Pin the Tail on the Donkey is the absolute perfect game for this theme. Of course, we love this Eeyore twist. 2. 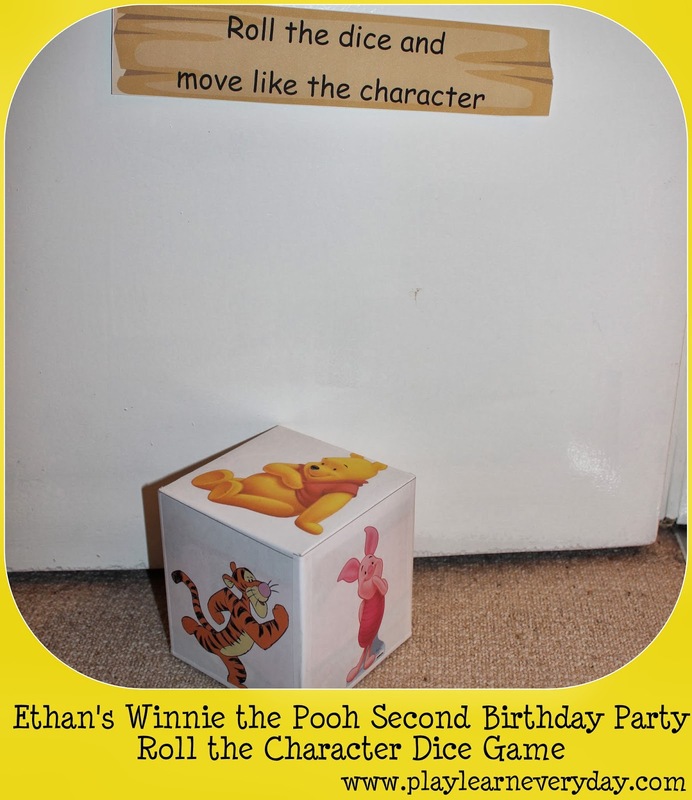 Move like Tigger (and Piglet). A lovely idea for little guests. All you have to do is make a cardboard dice or spinner with 6 of the characters: Winnie, Tigger, Piglet, Eeyore, Kanga and Rabbit. Then, see which one it lands on. The players have to move as they would. 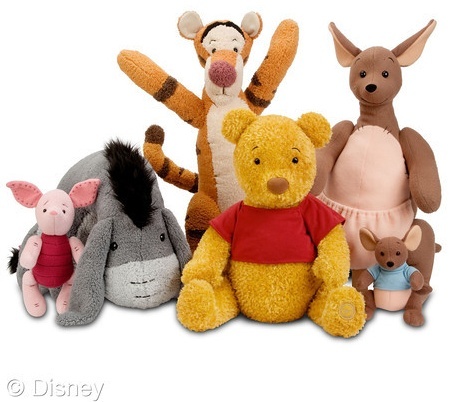 Bounce for Tigger, rub your belly like Pooh and hop for Kanga. Source: Play Learn Every Day. 3. Toss the balls into the ‘hunny’ pot. Cover a big bucket with brown paper, make a ‘Hunny’ sign and use yellow paper for the dripping honey. Give out some balls or beanbags to toss into the bucket. The one with the most balls in the ‘hunny’ pot wins. It’s a great idea to have a quiet corner for the really little ones. 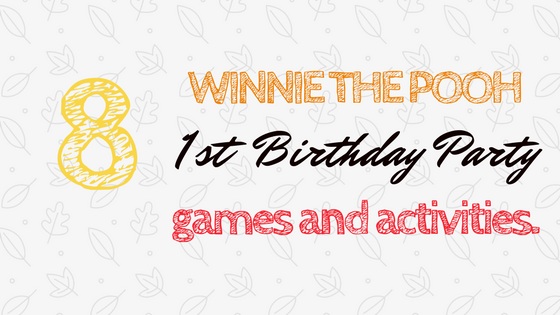 Set up an area with a variety of Winnie and Friends toys and the children can have endless amounts of fun coming up with their own activities with mum or dad. 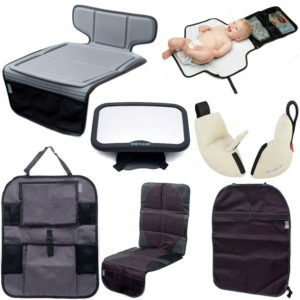 Make it extra cosy with soft pillows and blanket. Thought about goodie bags? 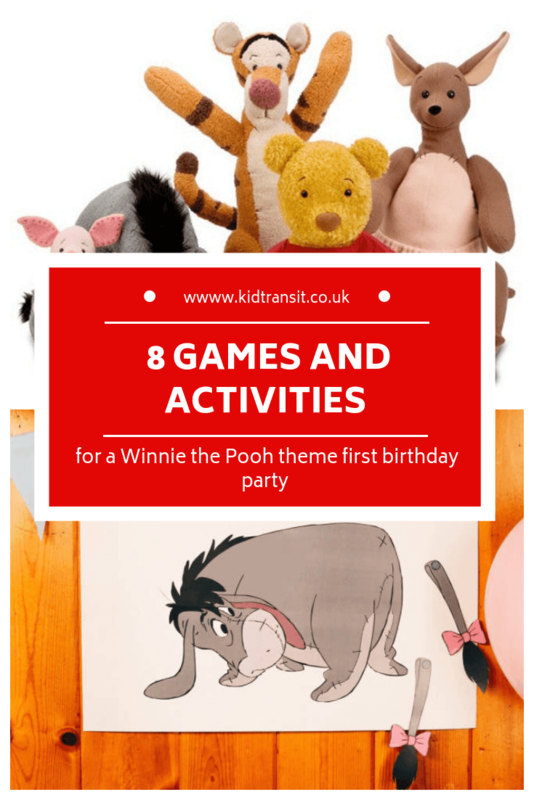 Check out our Winnie the Pooh party favours post. Hide some soft toys around your home or venue and get your guests to find them. Is Piglet behind the hoover? Was that Tigger bouncing around the tree? Children will adore making these tiny finger puppets. Colour in, cut out and attach together, then place on fingers – you can even put on your own show. Click here for the downloadable sheets. Young kids love colouring in. 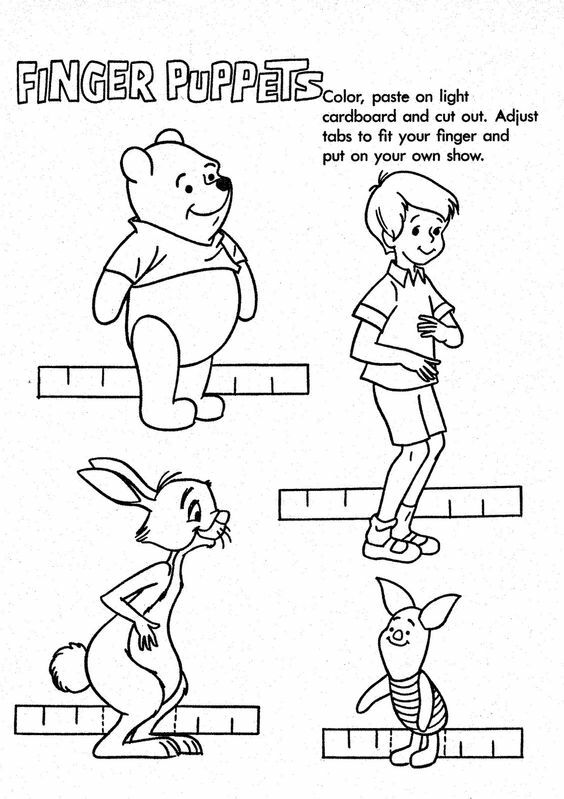 There’s a huge variety of Pooh and Friends colouring pages. Download a few and put them on a table with lots of chunky wax crayons. The children will spend ages on their creations. Grab two washing baskets as goals, some swimming pool noodles and some coloured balloons. 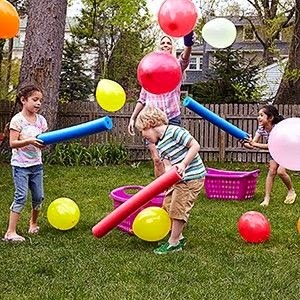 Using the pool noodles, try and get as many balloons as you can into the baskets. The person with the most balloons wins. The kids will have a hilarious time as they try to hit the balloons into the baskets. 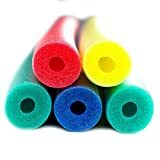 If you don’t have pool noodles just use your hands. Source: What’s On 4 Kids Parties. 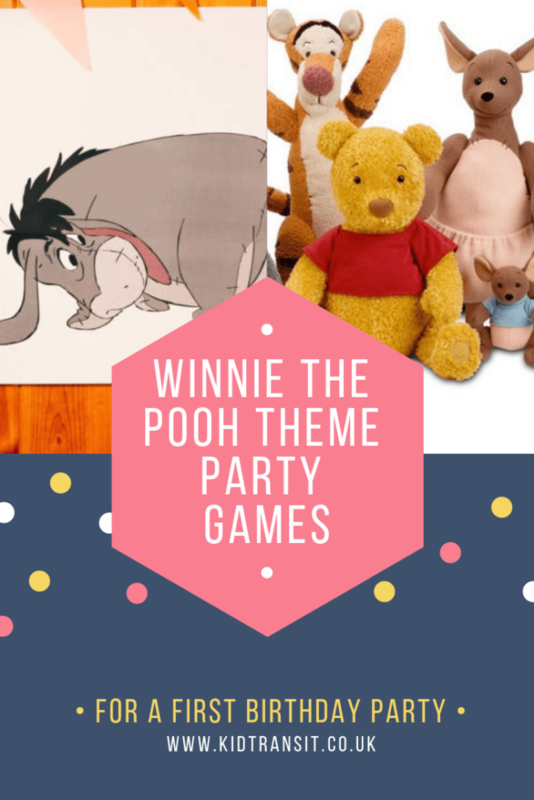 Looking for some delicious grub to serve at your little one’s Winnie the Pooh-themed party? We have a bunch of party food and drink ideas here.